Hope is a strange anchor. 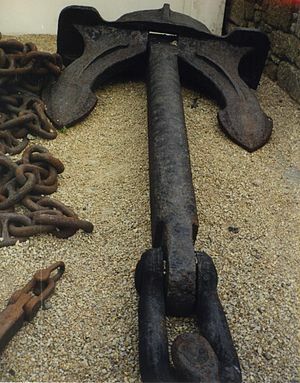 In a society structured on possessions, accumulations and competition, hope is always scouring for anchors. Dishonesty being the grinding teeth to produce and protect wealth; Astrologers and palmists grant an anchor of solace to the grieved while he waits patiently for Courts, Temples, Churches and God to deliver. Is hope a habit or an act of desperation? It is difficult to isolate. Sitting in a suburban court which looks like all women court. Air-conditioning not working and it is hot and humid. My shirt is almost wet with sweat which is constantly rolling down. It is friendly pro bono brief which could not be avoided. The question asked by the friend was: ‘Will it be over today?’ I wonder if I should have asked that question. And also, ‘How soon I shall be back in Air-conditioning?’ Habitually we can not bear exposure to heat in this manner any more. As if, it was not enough, next question was: “Don’t you find it hot?” People are hilarious. I answered: ‘I have stopped sensing my body below my neck.’ That was the truth. But now that he had asked, stream of questions clinging on hope are lurking inside my mind. So what is it? Hope is also infectious? Out there to conquer the sublime beauty of uncertainty? Uncertainty which can not be seen, caught, touched or captured. We can believe in things which can not be seen, caught, touched or captured and call it BELIEF, but find it difficult to bear uncertainty. Change is certain. But certainty is uncertain. Timing of change can not be predicted. No astrologer or palmist can predict and no lawyer can foretell the fate of his case if he is diligent and honest. While we cherish so-called good luck we do not realize the curse which is on the way, tied to the gesture of good luck, with a long rope. But how can we let go of control or its pretense that is all we got. Hope is a temporary anchor of wandering thought. Thought is cursed to wander and it will. This entry was posted in Emancipation, Life and tagged Anchor of thought, astrology, desire, fate, Future, hope, Let go, luck., palmist, prediction. Bookmark the permalink. No kidding. We all are prisoners of habits.